Each year, different businesses around the country help us celebrate Earth Month by donating a portion of their sales to Rock the Earth. This year, we’re excited to announce the following partners. Please support them while they support us this April! 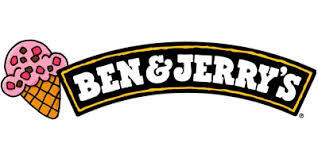 It’s national Ben & Jerry’s FREE cone day and on the Pearl Street Mall in Boulder, Rock the Earth volunteers will be helping scoop ice cream. All tips donated from the free cones will be donated to Rock the Earth, so stop by the Boulder Ben & Jerry’s and help Rock the Earth! Once again, our friends at Denver’s Herbs & Arts, THE on-line and neighborhood store for all of your spiritual and metaphysical needs, will be donating 20% of all sales to Rock the Earth on Saturday, April 18! World-renowned Denver Chef Troy Guard has been a supporter of Rock the Earth for several years. This year, on Earth Day, he will be donating 20% of all food sales from his famed Larimer Square restaurant to Rock the Earth. So go grab an amazing meal and know that you’re helping us Defend the Planet! 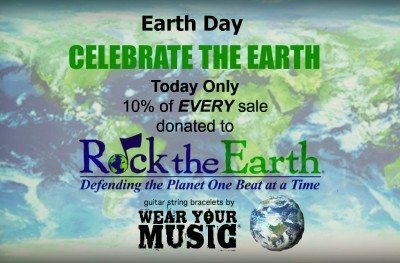 Once again, we’re teaming up with guitar string recycler and rock jewelry creator, Wear Your Music to bring uniquely made and repurposed rock art to you while also raising some money for Rock the Earth on Earth Day. 10% of all net sales on April 22 will be donated to Rock the Earth! Meanwhile, Rock the Earth will also benefit from 100% of all net proceeds from the sale of particular artist guitar string bracelets. These artists include Brendan Bayliss, Jake Cinninger and Ryan Stasik (Umphrey’s McGee), Rodrigo y Gabriela, J Mascis (Dinosaur Jr.), Mary Chapin Carpenter, Dave Schools (Widespread Panic), and others. IT’S NOT TOO LATE to participate in Earth Month 2015! Please consider donating a portion of your business’s sales throughout the month of April to Rock the Earth, or pick a specific donation day, to let your customers know you are committed to doing your part in helping create a sustainable environment. In addition to cash donations, there are other ways that you can be a part of this effort – please call our office at 303-454-3304 or write to info@rocktheearth.org for more information. As always, Rock the Earth will be a good steward of your contributions, and by working together we can all be part of the solution.